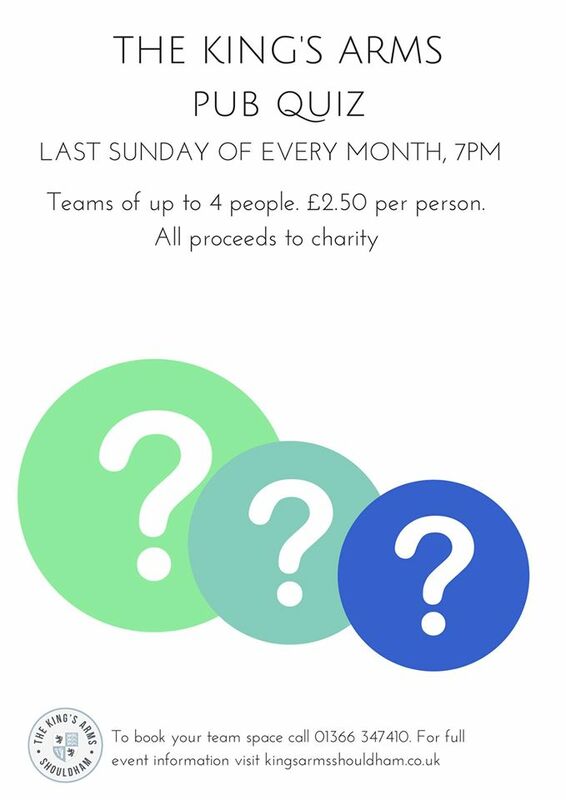 Join us at 7pm on the last Sunday of each month for the King’s Arms Pub Quiz, each month a different charity will benefit from proceeds. Teams of up to 4 people. £2.50 per person to book a team in call 01366 347410 or book at the bar.